" 30+ years experience in the Dental industry "
We Custom make ALL of our Scuff Covers / Toe Covers using the finest materials and craftsmanship industry wide. NOTE: Be sure to check the Manufacturer Plate on your chair for the proper model number before ordering. Are your toe covers brittle and discolored ? Have they lost their appeal ? If so, give them a quick, affordable update with our Brand New Clear Vinyl Toe Scuff Cover. We make clear vinyl covers for any Model of Chair. IMPORTANT NOTE: If your chair is not listed we can Custom make your cover. 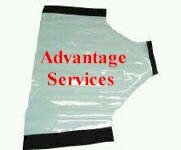 Call us at 704-607-2771 for ordering instructions for all Custom Covers. When we make you a custom cover existing Snaps/Velcro attached to your Chair cause slight variations in placement of Snaps/Velcro on your new custom replacement cover. In-order to ensure you get the Perfect Fit, we ask that you send us your old toe cover so your new toe cover will match up perfectly.